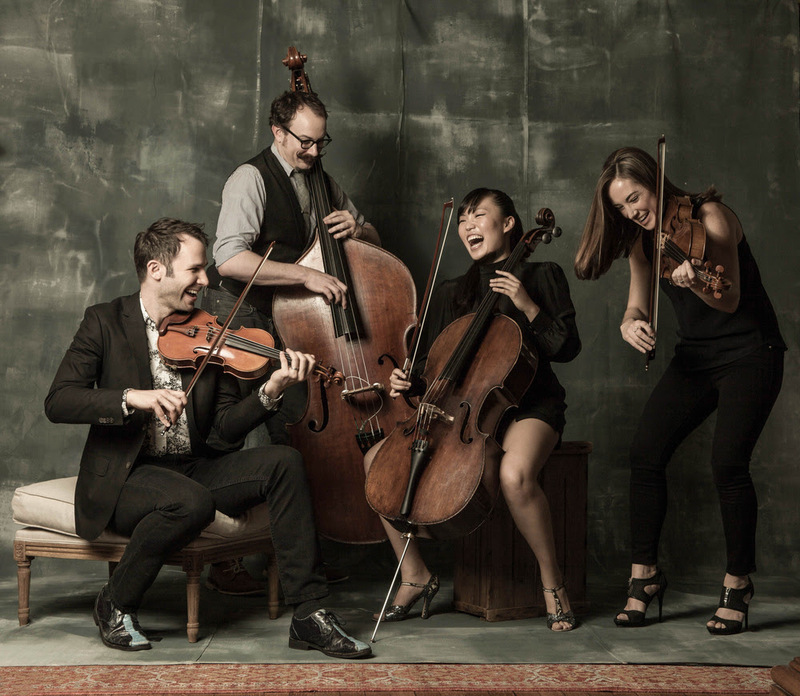 (New York) ROSIN is a band of wolves dressed in formal attire. Drawing​ on elements of bluegrass, rock ​and jazz, these classical deviants create their own ​version of a string quartet. From upbeat Americana with orchestral accompaniments to classical arrangements with rock guitar riffs, members Jake Armerding (violin, mandola​, guitar), Annie Bartlett (violin, viola), Mina Kim (cello) and Zachariah Hickman (double ​bass) fuse the personality of each player's diverse influences and expertise to create their uniquely synergetic sound. The collaborative union of ROSIN's members began in 2011 with the launch of the live music series, The Sheffield Sessions. Originating as a one-off house show, the series has expanded to host monthly live shows featuring local artists of varying genres and backgrounds. The unifying spirit of The Sheffield Sessions lives on through ROSIN's full-length album.